My research is primarily concerned with developing a better understanding changes in the ice sheets, sea ice, and climate in polar regions over the last 800 000 years. Much of my effort goes into understanding ice core observations of stable water isotopes by using climate models. Water isotopes (deuterium and oxygen-18) in ice are a key long-term record of past changes in the polar environmental and global climate. Water isotope enabled simulations, from climate models, help us understand how changes in ice sheets, sea ice, and climate imprint themselves in polar ice cores. I have worked for the British Antarctic Survey since 2006. Before this, I had a two year stint as a senior research associate at UEA (2003-2006), and obtained a PhD from the University of Sheffield (in 2004). And before all that, I gained a BSc Hons degree from the University of Glasgow (in 1999). Co-supervisor of PhD (Ms Elisabeth Bowker, University of Leeds, UK). Supervisor of SPITFIRE REP student (Ms Andrea Becsek, British Antarctic Survey, UK). Co-supervisor of SPITFIRE PhD (Mr Matthew Chadwick, British Antarctic Survey, UK). Primary Supervisor of PDRA (Dr Vittoria Guarino. British Antarctic Survey, UK). Primary supervisor for DFG Research Fellow (Dr Kira Rehfeld, British Antarctic Survey, UK). Primary supervisor of PDRA (Dr Max Holloway, British Antarctic Survey, UK). Co-supervisor of PhD (Ms Fiona Turner, University of Sheffield, UK). 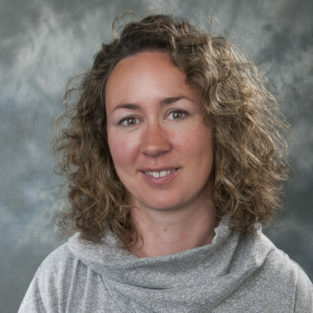 Primary supervisor of PDRA (Dr Emilie Capron, British Antarctic Survey, UK). Primary supervisor of PhD (Ms Irene Malmierca, British Antarctic Survey, UK). Primary supervisor of PhD (Mr Max Holloway, British Antarctic Survey, UK). Primary supervisor of funded MSC (Daniel Kramer, University of Trier, Germany). Co-supervisor of funded MSC (Ms Alienor Lavergne, Ecole Normale superieure of Paris, France). Co-supervisor of PDRA (Dr Gisela Hiess, British Antarctic Survey, UK). Co-supervisor of PhD (Mr Joe Wheatley, University of Sheffield). Co-Investigator. EU-ERC Grant: Warm Climate Stability of the West Antarctic ice sheet in the last Interglacial: WACSWAIN. Principal Investigator. NERC Standard Grant: Retreat of Southern Hemisphere Sea Ice, 130 000 to 116 000 years BP. NE/P013279/1. Principal Investigator. NSF-NERC Standard Grant: Paleoclimate signatures of the climate response to West Antarctic ice sheet collapse. NE/P009271/1. Co-Investigator. Grantham Centre for Sustainable Futures Grant: Reconstructing the past and predicting the future: what can ice cores tell us about climate? Principal Investigator. EPSRC-Feasibility Study Grant: Emulating the Isotope Response to Changes in the Geometry of the Greenland Ice Sheet. Co-Investigator. NERC Standard Grant: Late Quaternary changes in Westerly Winds over the Southern Ocean. NE/K004514/1. Principal Investigator. NERC New Investigator Grant: The Age Structure of the Greenland Ice Sheet. NE/J004804/1. One of the key questions which has motivated my recent work is the question of how can we best use ice and marine core evidence from the Last Interglacial, 130 000 to 116 000 years ago, to help better predict likely polar change over the coming centuries. Last Interglacial global temperature was quite similar to that predicted over the coming 50 years; but polar regions were substantially warmer than they are today. Reconstructing and modeling polar ice sheets and sea ice changes during the Last Interglacial provides a unique means to evaluate future predictions of critical changes in both polar climate and global sea level. 2016-2017 Chaired interview panel: For GW4+ DTP across multiple sites. Masson-Delmotte, Valerie, Capron, E., Goosse, H., Pol, K., Siddall, M., Sime, L., Bradley, S., Stenni, B.. (2013) Antarctic interglacial climate variability and implications for changes in ice sheet topography. PAGES News, 21. 18-19. Sime, Louise C., Masson-Delmotte, V., Risi, C., Sjolte, J.. (2013) Sea surface temperature controls on warm climate water isotopes in Greenland ice cores. PAGES News, 21. 28-29. Sime, Louise C., Hindmarsh, Richard C.A., Corr, Hugh. (2011) Automated processing to derive dip angles of englacial radar reflectors in ice sheets. Journal of Glaciology, 57. 260-266. Rothlisberger, R., Mudelsee, M., Bigler, M., de Angelis, M., Fischer, H., Hansson, M., Lambert, F., Masson-Delmotte, V., Sime, L., Udisti, R., Wolff, E.W.. (2008) The Southern Hemisphere at glacial terminations: insights from the Dome C ice core. Climate of the Past, 4. 345-356. AHRC: research grant: Materializing Data, Embodying Climate Change. Led by Professor Tom Corby:University of the Arts London. AH/S00369X/1 (685K), co-led by Dr Louise Sime. ERC advanced grant: WACSWAIN. (3000K) Led by Prof Eric Wolff; co-investigator Dr Louise Sime. NSFGEO-NERC standard grant: Paleoclimate signatures of the climate response to West Antarctic ice sheet collapse. Joint US and UK project. Led by Dr Louise Sime: BAS (202K); and Prof Eric Steig; University of Washington (300K). NERC standard grant: Late Quaternary changes in the Westerly Winds over the Southern Ocean. Led by Dr Dom Hodgson, BAS (650K)l; co-led by Dr Louise Sime.